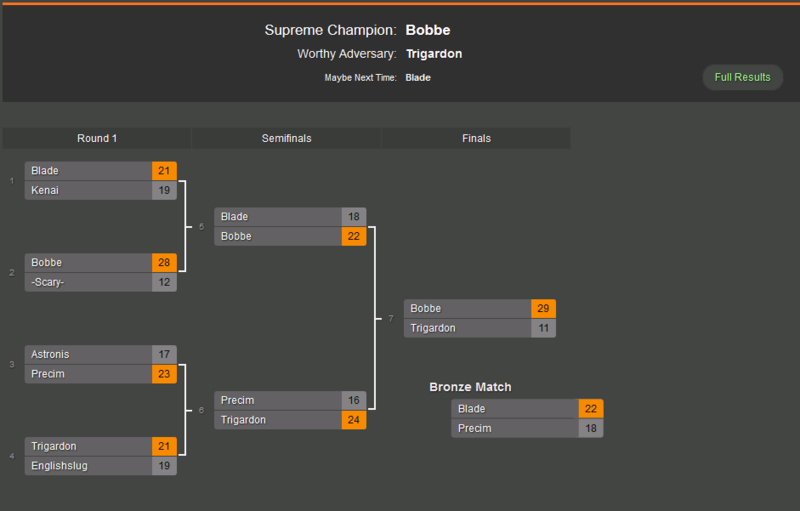 A massive congratulations to Bobbe for reclaiming his crown! Big shoutout to Trigardon who came second! Thank you to everyone who participated, shoutcasted, hosted and spectated. See you all next time! As usual I ask for feedback, so please give me some constructive stuff! Groups should be seeded instead of random, so there is no death group. Could do it algorithmically using results from past NDC's, and/or use a panel of a few duelers to give each entrant a rating. Rules regarding scheduling were very good. Flexibility and allowing players to replace dropouts was also very good. Nice work feathers! Huge congrats to Bobbe! Thanks everyone Feathers for organizing and letting me fill-up! GJ. Very nice, really enjoyed it! Looking forward to the next one! Thanks for organizing!